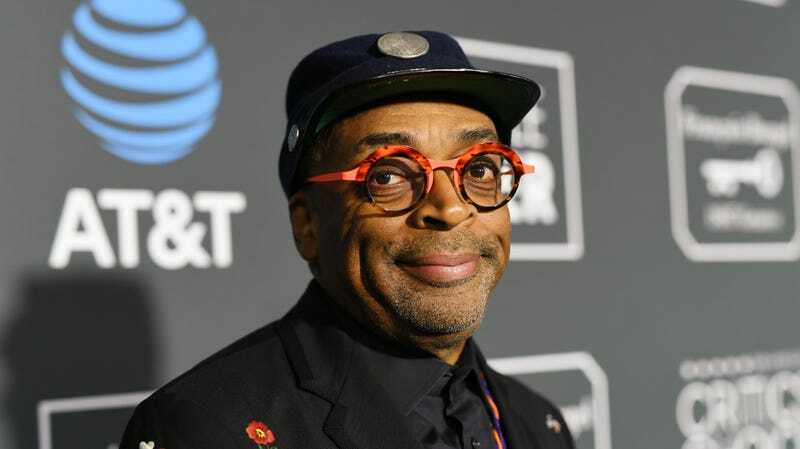 Spike Lee attends the 24th annual Critics’ Choice Awards at Barker Hangar on January 13, 2019 in Santa Monica, California. It’s time: The grand finale of awards season has announced its nominees. When the nominations announcers were... announced last week, Tracee Ellis Ross tweeted her co-host, Kumail Nanjiani on wardrobe coordination. Before the sun rose on the West Coast on Tuesday, the world got to see just what Nanjiani and Ross picked to wear as they announced several nominations that would undoubtedly change the lives of select cast and crew working in film. “I have a confession— I’ve actually never watched the nominations live before!” Ross exclaimed. Okay, already kicking this off with a more relatable spin. Regina King is ready to collect her things with a Best Supporting Actress nomination for her visceral portrayal in If Beale Street Could Talk. The film also landed a Best Original Score nomination for Nicholas Britell’s gorgeous musical poem (that surprisingly hasn’t already been snatching all of the noms this awards season). While Barry Jenkins unfortunately wasn’t recognized for Directing, he did snag a Best Adapted Screenplay nom. One of the most significant moments of the night came with the Directing category, as Spike Lee has finally been recognized by the Academy in this field (outside of his honorary statuette), scoring the Best Director nom for BlacKkKlansman. The film also received nominations in the Original Screenplay category, which Lee has a credit in. Miles Morales will celebrate in his Jordans because Spider-Man: Into the Spider-Verse snagged a nom for Best Animated Feature in its web. Mahershala Ali continues his frontrunner’s narrative, claiming the nom for Best Supporting Actor (Green Book); his second after winning for Moonlight in 2017. Kendrick Lamar and SZA may be able to say they have an Oscar as their Black Panther song “All The Stars” was nominated for Best Original Song. The biggest, blackest movie of the night is none other than Ryan Coogler’s billion dollar boom, Black Panther, so... gold! Along with Ruth Carter (Costume Design) and Hannah Beachler (Production Design) gaining well-deserved noms, the film scooped seven nominations. BlacKkKlansman is right behind it, with six noms. Both films are in the running for Best Picture. For the full list of nominations, head to Oscars.com. Update: 1/22/2019, 9:39 a.m. ET: Black Panther also made major history, becoming the first superhero movie to be nominated for Best Picture by the Academy, according to Variety. When Christopher Nolan’s The Dark Knight was snubbed in 2008, the Academy changed its nom list for the biggest award of the night from five to ten. Now, the list isn’t as stringent and can range from five to ten.